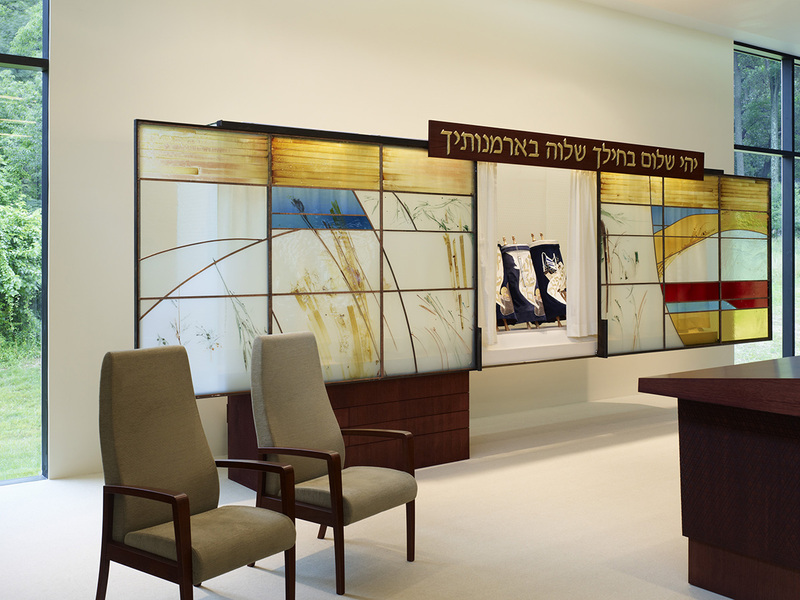 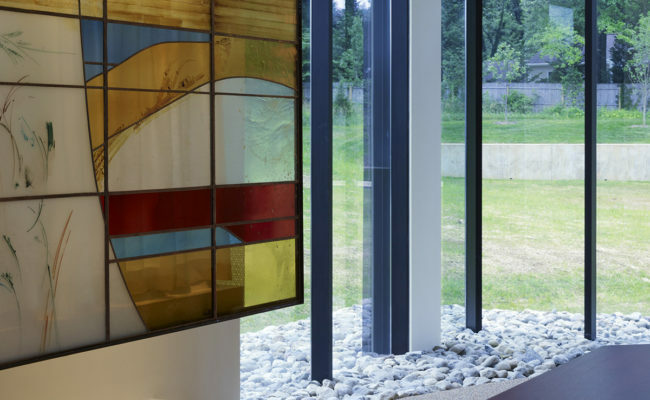 This custom made ark was done in conjunction with Ellen Mandelbaum, stained glass artist from New York, NY. 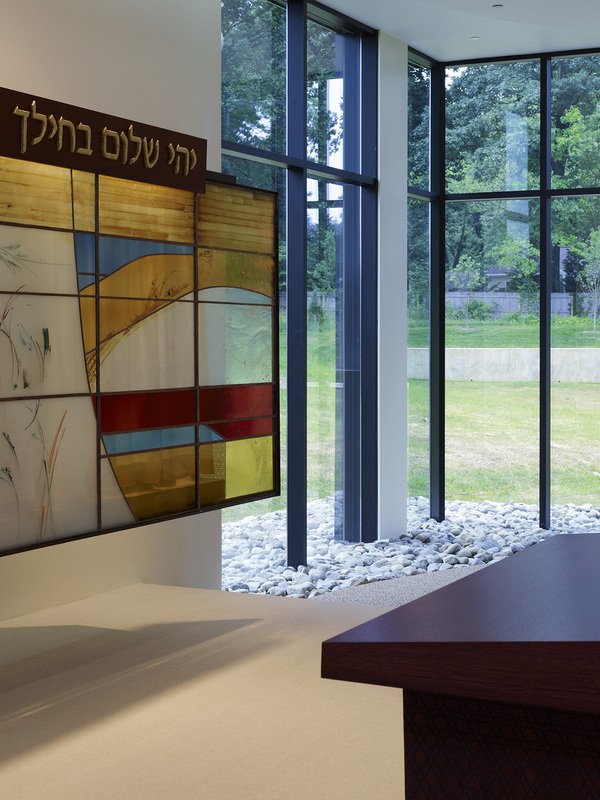 The conception idea of this Ark was to have a floating piece with two sliding glass doors that hide inside six Torahs until they are needed at special points in the service. 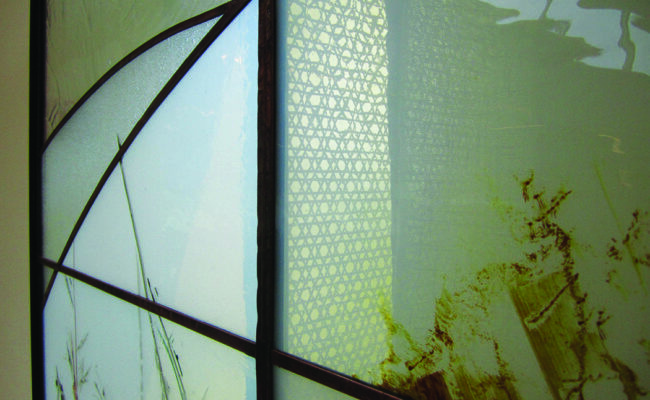 The Ark was made using traditional glass paints, silver stain glass and metal oxides fired at 1200 degrees. 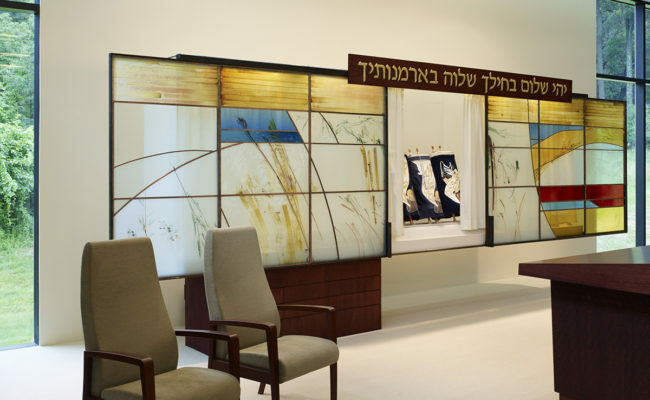 The Ark is a clear glass box flashed with a thin white layer that makes it translucent allowing to hide the Torahs as prescribed by tradition. 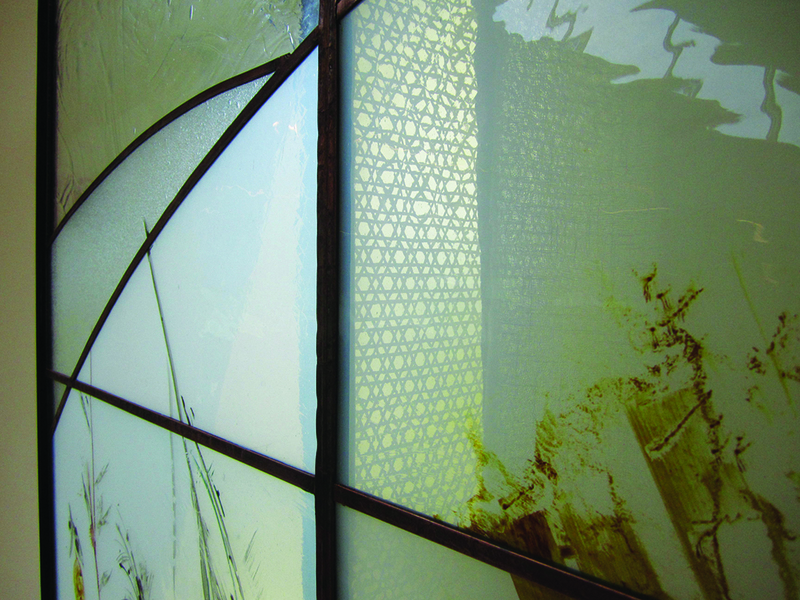 Fritted glass displays the star of David was used for the back and sides of the Ark.